Stopping dog aggression is essential if you want to ensure that your dog lives a long and happy life. This is because aggression is a sign of insecurity, anxiety and fear in many cases. Because of this, as soon as dog aggression occurs, you must put an end to it immediately, so your dog feels more secure and can live a happy life. This may sound obvious, but too many owners ignore aggression problems. They either deal with it later or ignore it completely. Both are wrong because the dog needs to know what he or she has done wrong right away. Otherwise there is no chance for learning because your dog quickly forgets. Stopping aggression in its tracks is an absolute must. Stopping dog aggression immediately will alert your dog to what is wrong behavior and discourage them from doing specific acts again. It enables them to know what they just did was wrong, however, you need to be able to correct him right as it happens! Pay close attention to every detail of your dog’s behavior so you don’t miss any small signs of aggression. You might miss minor acts of aggression because you may look for outward signs like barking, growling and even snarling. However, trying to sneak food, for example, and generally undermine you is just as bad because it challenges you and can lead to territorial and possessive aggression as well as a lack of discipline. Before you can go about stopping dog aggression in its tracks, you need to be able to find a good deterrent that will reinforce the fact that it is bad behavior. Brief time outs are really good because dogs do not like being left alone. Similarly, you could use a shaker as the noises made do not sit well with dogs. Whatever you use for stopping dog aggression though, make sure you use it as and when needed as soon as an incident occurs. The process of stopping dog aggression can be a long and difficult one for many owners and pets. It can prove to be frustrating and push you to the edge of your patience. However, for other owners it can be fun with results that are achieved quickly and easily. Why is there so much difference? The answer is that the latter owners will use positive reinforcement but the former will take a more negative approach and this will be picked up by the dog. 1. Socializing Your Dog ? The sooner your dog gets used to other dogs, the sooner you can enjoy his or her good behavior. Socialization is an important step and a positive experience for your dog because it will encourage friendly play and discourage aggression. 2. Praise Good Behavior ? Choosing to punish your dog for bad behavior but ignoring good behavior is quite another. You must acknowledge good behavior and reward it to the fullest as this will encourage your dog to be on his or her best behavior all the time! 3. Commanding Gently ? Screaming commands is a negative experience for your dog and will not help you stop your dog’s aggression tendencies. Your commands should be firm but not to the extent of a sergeant major commands! Be firm and authoritative but fair and your dog will respond. If you have resolved to train your dog and give him or her a solid foundation of good behavior then stopping dog aggression is a great place to start. More specifically, stopping dog aggression in relation to food is the best place to start. Food aggression can be displayed by most dogs that show aggressive tendencies and is possible in all breeds. This is because most dogs like to be left alone while eating and growl as a way of marking their territory. First of all, pay attention to it and don’t let it get out of control. You must deal with it as stopping dog aggression can prevent further aggression. Food aggression can be one of many aggression issues a dog has or a sole issue. Some dogs have no other behavior problems at all. Either way though, stopping dog aggression related to its food has to be a priority to prevent your dog going on attack when he or she feels that the food, and his own survival is threatened. Preventing aggression over food is an important first step in stopping dog aggression and it can take a few weeks to achieve results. However, you should persist because it will pay dividends. First make sure that all experiences with food are positive. For example, add a little food to the bowl or offer a treat if he or she growls. The growling will soon stop but this may take a little time. You may also like to try splitting food into two bowls because your dog cannot guard both and will have no choice but to allow you contact. 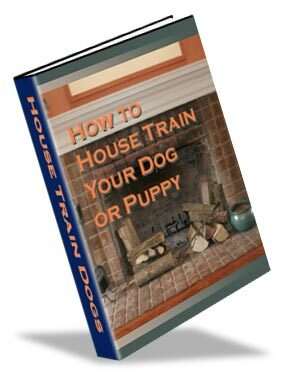 This will give you a great start and go some way to stopping dog aggression. Study says that our beloved pet dogs actually understand us. When you ask other dog owner if their dog understands them, they’ll probably answer with a yes. Psychology researchers at the University of Otago are conducting experiments whether dogs can really detect human emotions and the messages that we wish to convey. Associate Professor Ted Ruffman and a team of students have put in Dunedun dogs over the past 15 months. These dogs come in all shapes, sizes, and breeds. Some dogs have been shown images of babies laughing, crying, and babbling while others have been shown humans with happy or stern expressions while giving a command. The dogs that were shown a crying and laughing baby have different responses. Some try to “find” the baby and showed signs of concern. The studies were designed to find out whether dogs have an empathetic response to human emotions or are their reactions simply a result of the positive reinforcements that they receive. Dog aggression is common and most owners are able to teach their dogs to cease any aggressive behavior successfully. When it comes to stopping dog aggression, we can easily get on top of it. However, it may be possible to avoid dog aggression in the first place. A little known secret explains why so many dogs have to be trained not to be aggressive. Some owners actually cause it in the first place. It is much easier to prevent dog aggression if you actually cause it than to stop dog aggression after the fact. The way you greet your dog has as much to do with causing dog aggression in some households than any given environmental factor. Most owners greet their dogs incorrectly but do not realize that they are doing so. For example, if you make eye contact and lean over your dog with your shoulder squared then you are not only establishing dominance but also acting in a threatening manner according to your body language. If you then pat his or her head then you are compounding this and this could scare your poor pooch to death. Given that, you may want to think about how you greet your dog. However, if your dog is just plain happy to see you and doesn’t react to your body language, you probably don’t have anything to worry about. If you do not want to start any kind of dog aggression then you absolutely need to think about your own behavior and make sure that you are not being aggressive or provoking such a reaction. That way, both you and your dog will be happier. So if you get down to your dog’s level and say hi then your dog may feel comfortable and not see you as a threat. Depression does not only affect humans but dogs as well. When dogs are depressed, they are sleepy, do not eat properly, and do not like to go out for walks. In extreme cases, they lose a lot of weight. Dogs are used to the environment where they live. If there is a change of location or owner, it can make a dog depressed. Weather changes can also be a cause of depression in dogs. Dogs can sense a death of a family member and this can also cause them to be depressed, just like the family members. A depressed dog can show a lot of symptoms such as loss of interest in the activities that happen around him. He will not want to play or run around and be unmotivated. If your dog is always asking for food when you are eating, you will noticed that this will cease when your dog is depressed. A drastic weight loss is can be a symptom so bring your pet to the vet immediately. At Cumberland County, PA, one of the dogs of a family bumped a knob on the stove and caused fire. This happened in the 5300 block of Erbs Bridge Road in Hampden Township Sunday morning. 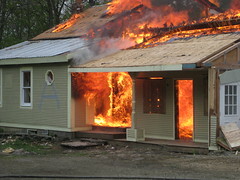 The fire spreadto the whole kitchen. Another one of the family’s dogs, a 2-year-old coonhound woke Tyler Hay up, whose bedroom is near the kitchen. “He pulled me off the bed and then I woke up and I just saw pitch black,” said Hay. The family said that they usually take the knobs off. The dog that nudged the knob, Paige, died in the fire along with other pets. “I get emotional when I think about it. We can replace dogs — not their personalities, but we can get more dogs. We can’t replace Tyler,” said Howard Hay, Tyler’s father. According to the fire investigators, the family is lucky enough to be alive. The house had no working smoke detectors. Flyball is a fun sport for you and your dog. This is a relay race where there are teams of 4 dogs, their humans, four jumps, and a box which tosses a ball. The dogs are then released one at a time. Then they race over the jumps, land on the box which triggers a ball and then race back over the jumps with the ball in their mouth. Then the next dog is released to start running. There are two lanes of dogs that race side by side. The first team to complete the course wins. This is going to be definitely fun for dogs, and human. 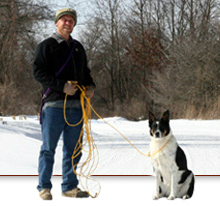 Hot Diggity Dogs flyball club started in 1999 by Natalie and Denny Cornell. After many years of hard work they now have an indoor training ring and has diverse members coming from all ages from all over the area. For more information about the Hot Diggity Dogs Flyball Club call 1-613-398-0002. Six severed dog heads found in a trash bin behind a restaurant at Largo, Florida. However, they were said to have been used for legal veterinary studies. According to Largo Police, Monday, these remains that were found were not result of animal cruelty. The canine heads were obtained from dogs that had been euthanized. These were legally acquired and used by a licensed medical company for veterinary training. A family dog was able to save a Clearwater household from their burning home. The one year old Shih Tzu named Scooter kept on barking ealry Sunday morning which called the family’s attention. Thanks to Scooter, the family was able to escape from a fire which started in a car parked in the driveway of their home. According to Roberto Segovia, the 18-year-old son of the homeowners, the dog usually barks but they usually don’t pay so much attention. But this time,Scooter kept on barking until they woke up to check what is going on. The fire started in a 2001 Ford Expedition parked in the driveway about 4 feet from the house and it spread to the attic. It took about 40 minutes to put out the fire. The house is no longer fit to live in.